Sign Up for Our gamescom Contests! Reminder: Sign-ups for the cosplay contest will close on 23:59 CEST on August 1. Don't miss out! 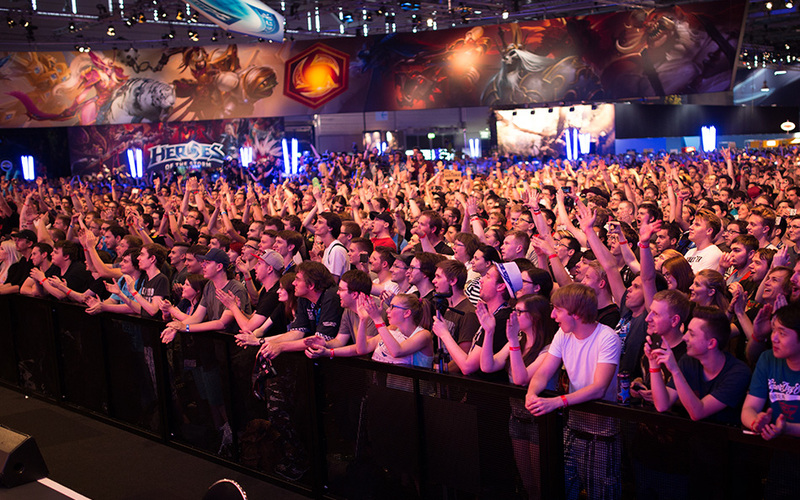 Blizzard is heading back to Cologne, Germany from August 17–21 for another epic gamescom. If you’re looking for somewhere to show off your passion for games, we’ve got just the place—our world-famous dance and costume competitions! Gamers will be turning out in force to watch, play, and learn about their favorite games at the show. If you want to stand out from the crowd, there’s still time to represent your favorite Blizzard characters with an awesome outfit and be part of our cosplay contest. Recreate your favorite armor set or show off your rendition of a character from one of Blizzard’s universes, and you could appear on our stage this year—with the top prize including a chance to compete on stage at BlizzCon 2016! Full costume contest rules will be available to all contestants before the competition begins. You must provide the above information via email before 23:59 CEST on August 1. Please note that due to time and space limitations, it may not be possible for all entrants to participate in the contest. If you’re itching to bust out your best Blizzard dance moves at gamescom, we have you covered! With a huge crowd cheering you on, a panel of Blizzard developers as judges, and a sweet laptop to win, we encourage everyone to sign up for the Blizzard Dance Contest! To register, speak with one of the many Blizzard employees at our booth on the morning of August 19. Both contests will take place at the Blizzard booth at gamescom, with the Blizzard Dance Contest taking place on Friday, August 19, 2016, and the Blizzard Cosplay Contest on Saturday, August 20, 2016. If you participate in either contest, you are responsible for your own entry to gamescom. The contests are open to individuals ages 13 years and over. Minors under 18 must have parental authorization. Cosplay contestants who sign up in advance will be contacted with more information prior to gamescom. Dance contestants will need to register at the Blizzard booth at least 90 minutes before contest begins in order to confirm their participation. We hope to see you at the show—and maybe even on the stage!